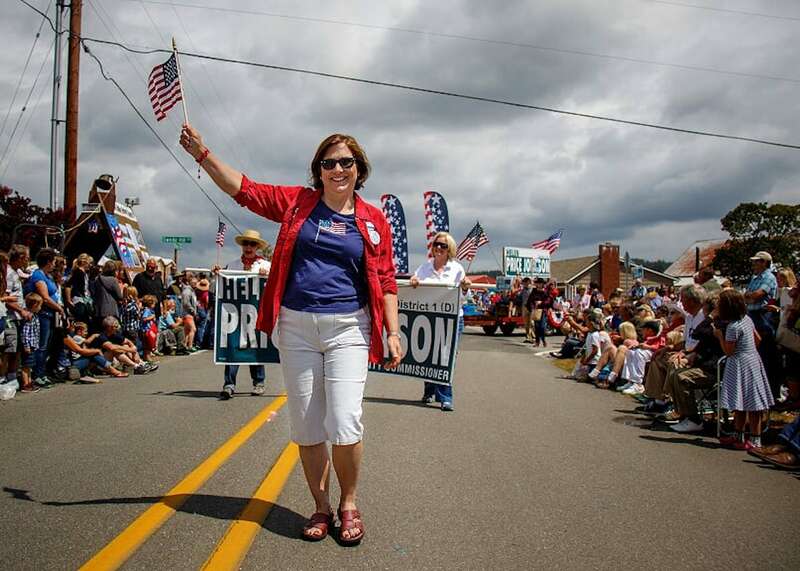 Our County Commissioner Helen Price Johnson exemplifies public service and inspires trust. 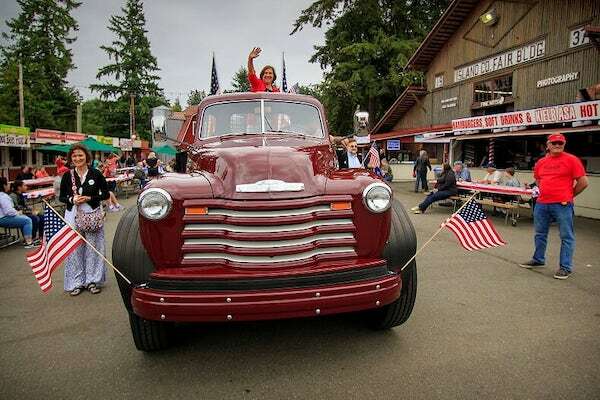 Representing District One, which covers our whole island, except for greater Oak Harbor and north, Price Johnson has served the public for nearly a dozen years with an ear tuned to what the island needs most. She is down-to-earth, easy to talk with and someone who likes to get things done. 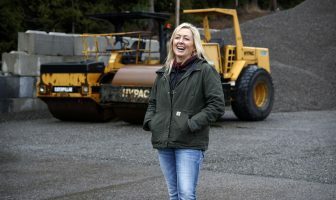 Her husband David owns a family-run construction business. If you’re a chart and data kind of person, check out this website to get a sense of housing costs and rental availability. Listening to the talk around town, a whole spectrum of people say they’re looking for affordable rents or places to buy and many lament the high cost of rentals. The tech boom in Seattle has resulted in escalating real estate prices. 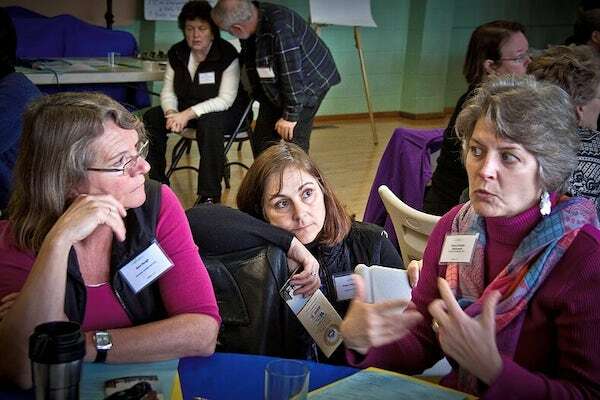 In a ripple effect Whidbey Island is seeing an increase in housing costs as well. A surge in vacation rentals has added to the hole in available affordable housing. “The workforce housing group has people who are interested in developing in Freeland, Bayview, Kens Korner and Clinton. We are connecting people and trying to make changes where appropriate for our island,” Price Johnson said. Another issue Price Johnson is committed to addressing is mental health disease and providing resources for those who need it. The county’s website lists ways of accessing those resources. Price Johnson supports the future use of hybrid electric energy for our ferries. As a member of the Island Regional Transportation Planning Organization, the commissioner is interested in finding ways to reduce greenhouse gas emissions. These days, Helen Price Johnson sees a trend in building wineries and distilleries, and event venues that take advantage of the rural setting framed by two sets of mountains. No doubt, Whidbey Island is evolving and becoming more of a year-round destination. With the growth the island is experiencing, the county is tasked with ways of addressing density, traffic, human needs and continued environmental protection. Helen Price Johnson and her family help renovate a home last May during the annual Hearts & Hammers community service program. 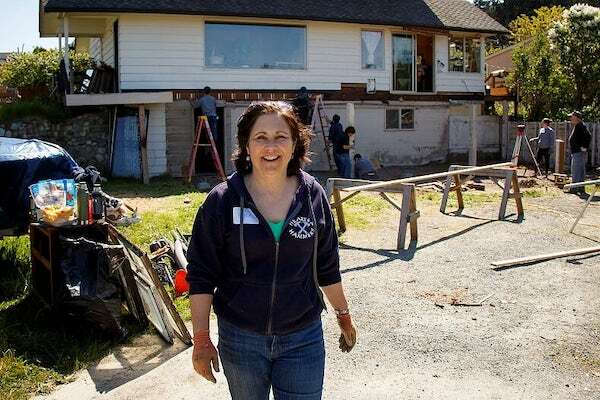 An advocate of Hearts and Hammers, locals can find Price Johnson and her family donating their services to repair homes each year for those who can’t afford it. Likewise she’ll good naturedly pitch in for a fund raiser, as she did for Ryan’s House, which provides housing for homeless youth. 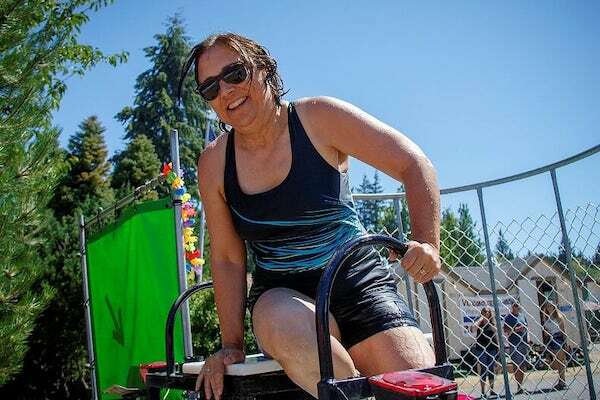 Taking part in a fund-raiser for Ryan’s House, which provides shelter for homeless youth, Helen Price Johnson good-naturedly volunteers for the dunk tank. Carrying on a legacy that began in April 1853, Helen Price Johnson is one of three commissioners serving Island County. Stay tuned for upcoming profiles of her fellow commissioners Jill Johnson, District 2, serving Oak Harbor, and Janet St. Clair, serving Camano Island and Whidbey Island north of Oak Harbor. Visit Commissioner Helen Price Johnson’s webpage for more information.